The crowd was curious – who are Mr Bim and Mr Bam? All they were told was that they were a couple of very shy characters who wouldn’t come if the crowd didn’t bust out. That curiosity quickly turned into jovial laughter when Natalie Benhayon, director of the Girl to Woman festival, revealed that Bim and Bam were actually big dance movements that encouraged participants to not hold back during the epic True Movement finale song. 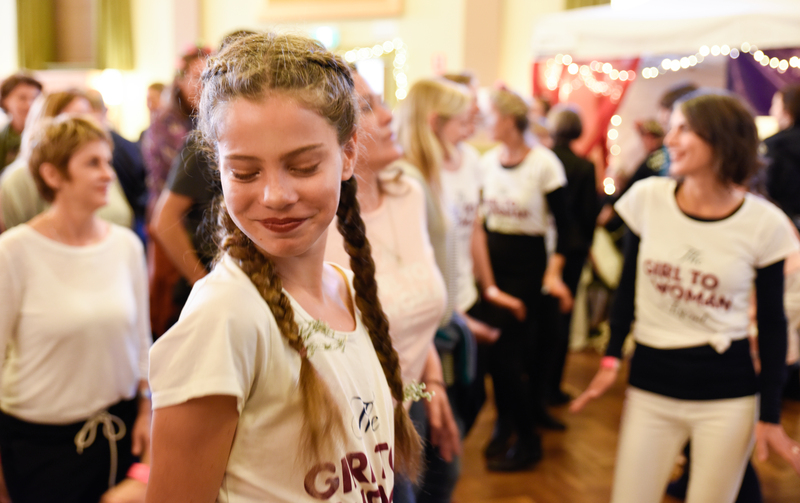 This was just one of the many highlights that marked a day that will undoubtedly remain in the memory of many young girls and parents who attended the Girl to Woman festival on Sunday 29th April 2018 at Functions on Chapel in Prahran, Melbourne. An iconic event that sees people from around Australia travel to Lennox Head in Northern NSW for their annual summer festival, Girl To Woman has now marked its footprint in the city of Melbourne for the first time. “The Girl to Woman festival is all about bringing community together and reminds us all of core values we do all know. Values such as celebrating our young girls and confirming them in who they are” says Sara Harris, founder of the Girl to Woman Project and a health and wellbeing practitioner specialising in women’s health based in Caulfield, Melbourne. “All of us are role-models for the young women in our lives” says Natalie Benhayon, Director of the Girl to Woman Festival and MC. The sense of community and connection was very palpable throughout the entire festival. There were a myriad of activities and workshops on offer with every corner of the venue inside and outside adorned to welcome the young girls who walked in the door. Gift bags, exquisitely wrapped, greeted them upon entry. The delicious aromas of home-cooked wholesome food and treats, and the chill-out and nurture space offered for the adults, along with the workshops and conversations on offer for the adults to partake in, created a space for everyone, young and old to simply be. “There was not an adult or child playing on their mobile phone in sight” commented Tina, a mother and business owner based in Melbourne’s western suburbs. Throughout the day, the space was provided for like-minded parents and adults to have access to multiple professionals working in the fields of youth and psychology in group forums and workshops. “Offering that space and service to parents is a key component to the Festival’s planning every year” says Natalie. “Support for parents in a fast-changing climate of social media, mental health and rapidly intensifying behaviours is so important to us”. Antonietta Bua, a clinical social worker and qualified teacher based in Melbourne’s northern suburbs, led the community forum on ‘Changing Behaviours’. This was a chance to discuss these challenges and raise the additional challenges now faced with the digital age. A common theme was parents grappling with when and how much to let their children use devices with sleeplessness, gaming addictions and bullying shared concerns. An empowering forum was provided for women and their daughters in the Mother Daughter Dynamics session, to unpack the at times emotionally challenging relationships that we can have with our family members and how it is possible for each of us to become agents of positive change. At the same time that this forum was taking place, the Dad’s Discussion group held the many men who participated in immense understanding as they considered what does it mean to be a dad? Is having children to care for a burden for the archetypal breadwinner, or can the responsibility of children bring a much greater freedom and all-encompassing joy when this responsibility is embraced? And with plenty of areas to chill-out, but no one wanting to check-out, the first of many to come Girl to Woman Festivals in Melbourne was unequivocally embraced. The day completed with everyone singing along to the Girl to Woman Anthem, a heartfelt song that brought tears to the eyes of many of the adults in the room, as the words were clearly being claimed by the young girls singing in celebration to what they had connected to within themselves. See below for how to access the lyrics and download the song. The Girl 2 Woman song and lyrics are available from GMRecords. 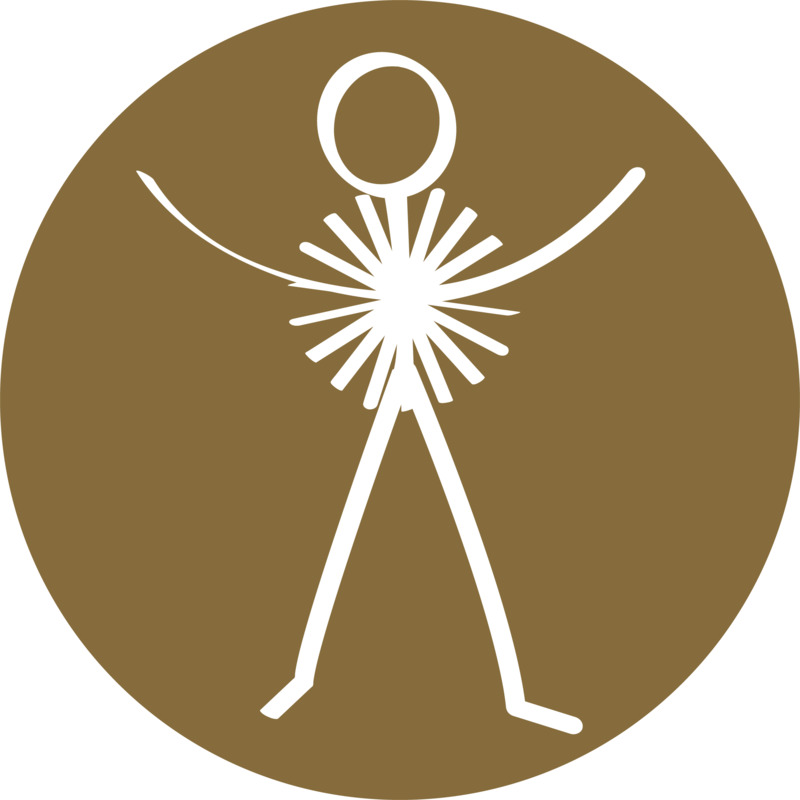 Read reviews of previous G2W festivals and find out more about the Girl to Woman Festival.